SPEC’s sells a lot of Champagne. And well over two-thirds of that Champagne is labeled Brut Non-Vintage (Brut NV). Brut Non-Vintage from the grand marque producers is far and away the best selling sort of Champagne but it is not what gets the most attention. The wine press and the wine-geek community are more focused on Rosé, on Farmer Fizz, and on the fancier tête de cuvées or luxury blends. Nevertheless, Brut Non-Vintage is the horse that pulls the Champagne wagon and is, based on the sheer numbers, what most Champagne drinkers are drinking. So, what about the “Non Vintage?” The vast majority of Champagne produced does not carry a vintage date and about 87% of all the real Champagne Spec’s sells is sold without a vintage. Of course this includes a some Extra dry, Demi-Sec, Sec, and even Rosé but most of it is Brut Non-Vintage. So what is Non-Vintage? To be precise, Non-Vintage Champagne should be and maybe usually is a blend of wines from two or more years that ideally combine the freshness of some younger wines (the majority of the blend) with a smaller percentage of older “reserve wines” that should add richness and complexity while expressing a house style. In practice, a goodly amount of Non-Vintage Champagne is actually to product of a single vintage – especially in the better years with some reserve wine added. The Champenoise want their Brut Non-Vintage to be as consistent as possible and to be the flag-bearing product that is always available in the market. Not all Brut Non-Vintage is the same. Each house has its own style and blend and dosage and other quirks. Here are tech notes and my scores on some BNV Champagnes I have tasted of late. From the Negociant Houses and other non-estate Champagnes. For Estate-Bottled Brut NV, please go to SELECTING GROWER CHAMPAGNE. For help in parsing out the styles from the technical information provided, please see UNDERSTANDING WHAT’S IN YOUR CHAMPAGNE GLASS. 15.5% Chardonnay, 38.5% Pinot Noir, 46% Pinot Meunier. 22% Reserve Wines. 24 months on its yeasts. Dosage at 10 grams per liter. BS: 90+. 60% Chardonnay from the Cotes de Blancs and 40% Pinot Noir from Verzenay, Ay, Mareuilsur- Ay and Bouzy (all grand and premier cru); 40% reserve wines 36 months en tirage. BS: 94. 40% Pinot Meunier, 30% Pinot Noir, 30% Chardonnay with 40% of the Cuvee from reserve wine. Aged 3 years on its yeasts. Dosage of 8 grams per liter. BS: 92. 100% Chardonnay from the five Grand Crus of the Cote des Blancs (Avize, Chouilly, Cramant, Oger and Mesnil sur Oger) blended from 3 vintages, partial malo-lactic fermentation, and aged 4 years on the yeasts. BS: 93. 60% Pinot Noir, 25% Chardonnay, 15% Pinot Meunier. 20% reserve wines; 0.8 RS; primary fermentation in oak barrels and small stainless steel tanks. 36 months en tirage. BS: 93+. From Champagne’s best co-op. 43% Chardonnay, 10% Pinot Noir, 47% Pinot Meunier. 15% Reserve Wines. Aged almost 7 years on its yeasts. Dosage of 8 grams per liter. BS: 91+. A blend of 1/3 Chardonnay, 1/3 Pinot Noir, and 1/3 Pinot Meunier blended from 60 crus with 40% of the cuvee from reserve wines with an average of 10 years age. Aged on its yeasts for six years. BS: 93. 50% Chardonnay, 30% Pinot Noir, and 20% Pinot Meunier with all of the Chardonnay and Pinot Noir grapes coming from Grand Cru vineyards; 3 years en tirage; aperitif style. BS: 93+. 100% Charonnay fermented in stainless steel tanks. 10% reserve wines. Aged at least 48 months on its yeasts. BS: 94. 60% Pinot Noir, 30% Pinot Meunier, and 10% Chardonnay from fifteen crus and generous quantity of reserve wines, full malolactic fermentation. 20% reserve wines. Dosage at 8 grams per liter BS: 91. 45% Pinot Noir, 24% Pinot Meunier, and 30% Chardonnay, 36 months en tirage, Dosage at 10 grams per liter. BS: 91. 45% Pinot Noir and 36% Chardonnay (primarily from grand cru and 1er cru vineyards) and 19% Pinot Meunier. The base blend comes from three harvests and then adds 20% reserve wines. 30 months en tirage. BS: 91. 40% Chardonnay from the Cote de Blancs and 60% Pinot Noir from the Montagne de Reims from 4 vintages. Aged 3 years on its yeasts. Dosage at 8 grams per liter. BS: 92. 100% Chardonnay grapes mainly from the Côte des Blancs and village crus: Mesnil sur Oger, Avize, Chouilly, Vertus, Montgueux, Trépail, Epernay and the Vitry region. The cuvee contains 30% reserve wines. Aged 4 years on the yeasts. dosage of less than 10 grams per liter. BS: 92. 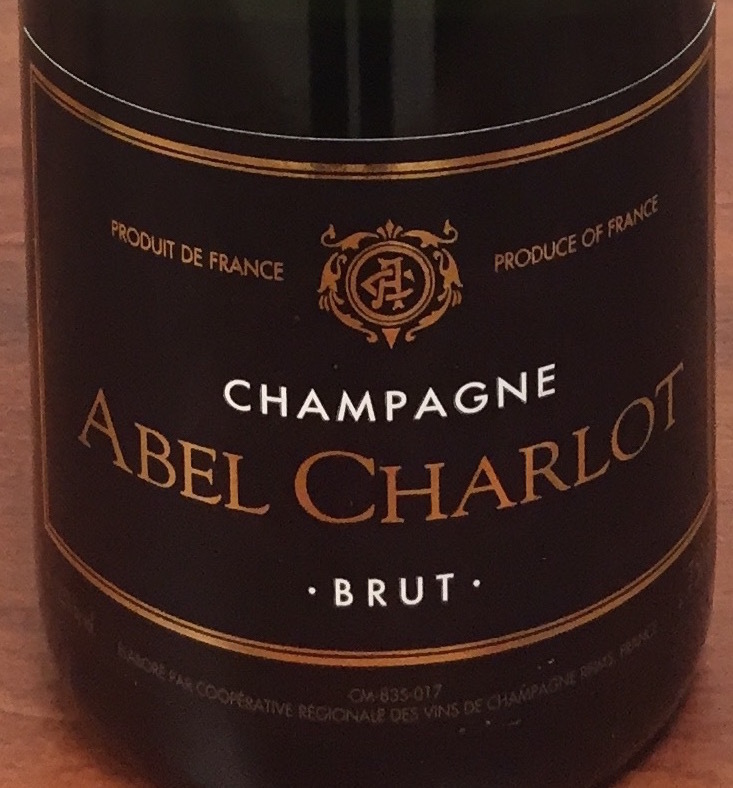 50% Chardonnay, 35% Pinot Noir, 15% Pinot Meunier with 20% reserve wines; aged 48 months on its yeasts. BS: 92. 67% Pinot Noir with 30% Chardonnay and 3% Pinot Meunier. aged 30 moths on its yeasts. BS: 90+. 60% Pinot Noir with 40% Chardonnay all from Grand Cru vineyards in Verzy with 10% reserve wines. aged at least 36 moths on its yeasts. BS: 91+. Pinot Noir (45% – 50%), Pinot Meunier (35% – 40%), and Chardonnay (10% – 20%) with plus/minus 30% reserve wines. Aged 18 months on its yeasts and dosed to 13 grams per liter. BS: 89. From a very good co-op. 20% Chardonnay, 40%Pinot Noir, and 40% Pinot Meunier. Blended from 100 to 150 single cru vineyards owned by the co-op’s members. Aged 3 years minimum on its yeasts. BS: 91. Co-op made (but in a very good co-op), 40% Chardonnay, 30% Pinot Noir, 30% Pinot Meunier; 25% reserve wines. BS: 90+. 40% Pinot Noir, 40% Pinot Meunier and 20% Chardonnay with up to 20% reserve wines from previous vintages. Aged 3 year on its yeasts. Dosage of 11 grams per liter. BS: 91+. 55% Pinot Noir, 30% Pinot Meunier, 15% Chardonnay, 10-20% Reserve Wines. BS: 88. 1/3 Chardonnay, 1/3 Pinot Noir, and 1/3 Pinot Meunier with 20% reserve wines and full malolactic fermentation (not the norm in Champagne). Aged four years on its yeasts. BS: 91+. 1/3 Chardonnay with 2/3 Pinot Noir and Pinot Meunier; aged 3 years on its yeasts. BS: 91. 40% Pinot Noir, 40% Chardonnay, and 20% Pinot Meunier aged in oak tuns (foudre) with at least 20% reserve wines before the in-bottle fermentation. Aged three years on its yeasts. BS: 91. 100% premier cru Chardonnay with 20% younger reserve wines. Full malolactic fermentation. Dosed to 9 grams per liter. BS: 93. 40% Chardonnay, 35% Pinot Noir, and 15% Pinot Meunier aged at least 3 years on its yeasts. BS: 90+. 50-55% Pinot Noir, 15-20% Pinot Meunier, 28-33% Chardonnay with 25-40% reserve wines. Dosed at 10 grams per liter. BS: 87-91 (depending on the bottle).